May has been an extremely busy month for us here at pharmaphorum – from our website re-launch to an office move, plus the publication of some great market access and respiratory disorders content. (If you haven’t seen it, I’d suggest heading over to www.pharmaphorum.com straight away). • ‘Master tags’ (which you see on the drop down menus for each section) relate to what function within pharma a particular piece of content primarily relates to. • ‘Therapeutic area tags’ relate to particular disease areas, as the name suggests. • ‘Specialism tags’ are applied to ‘disciplines’ that are multi-functional and include things like ‘market access’, ‘sales force effectiveness’ and ‘patients’. Also, you’ll now notice that our search function has improved significantly – it’s now much easier to find all our great content. • GSK Australia’s David Herd shares his thoughts on the subject of pricing and reimbursement in Australia. • Kate Morgan from Myeloma UK discusses market access in the UK from the view of the patient. • Dr Jane Purvis of the Ontario Rheumatology Association highlights market access challenges in rheumatology, from the physician’s perspective. • Tara Prasad, from the Access to Medicines Index, questions how pharma can provide access to medicine in the world’s rising economies. • Pacific Bridge Medical’s Ames Gross provides us with an update of Malaysia’s pharmaceutical market in 2013. • Genspark’s David Griller discusses the need to rethink investment and market access in Canada. • Creation Healthcare’s Daniel Ghinn questions whether Novartis is missing an opportunity as it is only using its social media channels to broadcast information and not engage. • Eli Lilly and Company’s Greg Kueterman discusses the role biopharma plays in overcoming the issue of non-communicable diseases in developing countries. • Did you know that the greatest threat to pharma corporate Intellectual Property (IP) security comes from within? Sam Olsen from Kroll Advisory Solutions shares his thoughts on this challenge. We also published a five-part series of anonymous doctors’ interviews, in conjunction with Doctors.net.uk, where we asked how they preferred to engage with pharma. You may also have noticed our brand new white papers section on our homepage – don’t miss out on our two featured, free-to-download, PDFs. In the exclusive white paper from Consult, you can find out how evolving payer networks across the US and Europe are analysed, in order to provide pharma with clear strategic advice. While in “Doctors hold the key to understanding patient outcomes” by AllGlobal, the role of the doctor in accessing real-world patient outcomes is explored. Although it looks more like winter than the start of summer when we look out of our British windows, next month is June and, starting Monday are our two new focus months. In the run up to ASCO 2013, we’ll be publishing a variety of articles around the disease area of oncology, alongside content themed around our discipline focus: leadership and talent management. So until next month, we hope you will continue to enjoy our new website and our new content. 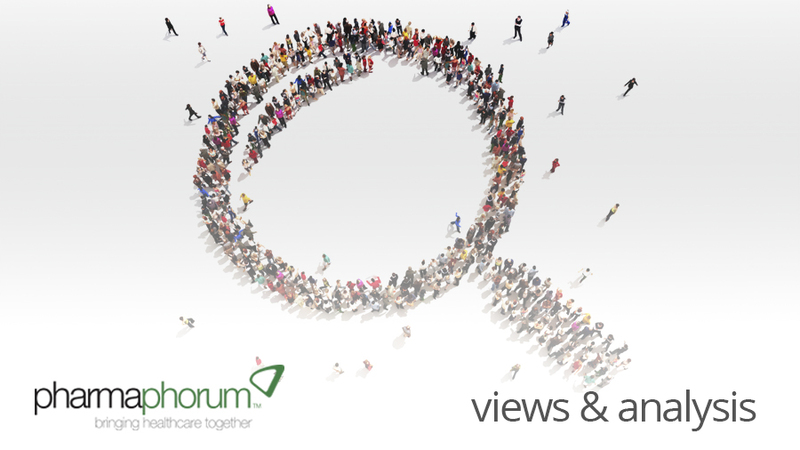 We always appreciate feedback, so if you have any suggestions on how we can further improve pharmaphorum, please email us directly through our online contact form. Hannah joined pharmaphorum in early 2012, after graduating with a degree in Magazine Journalism & Feature Writing in 2011, and leads our news coverage, in addition to liaising with new and existing feature authors. With over three years’ experience working within the journalism industry alongside university, Hannah has written for a number of different print and online publications, within the women’s lifestyle, travel and celebrity sectors. Now focussed on the pharma sector with her role at pharmaphorum, Hannah is embracing the challenges of working within a fast growing media organisation in this rapidly changing industry sector. For any queries or contribution suggestions, please contact her here or via Twitter @Hannah_Blake2. How will the market access space change over the next decade?